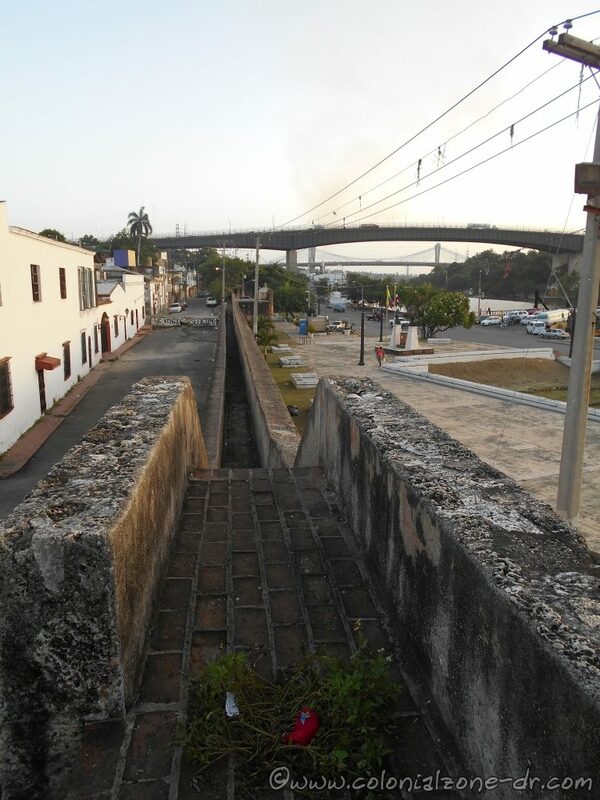 The Fuerte de la Carena and Fuerte de Angulo are difficult to tell apart as they seem to be interconnected. When the Malecon (Avenida del Puerto Francisco Alberto Camaaño Deñó) was built much of both of these forts were destroyed and lost forever. 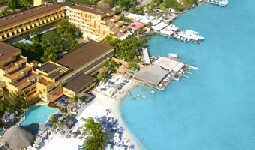 View of Fuerte de la Carena and Fuetrte Angulo from the catwalk. 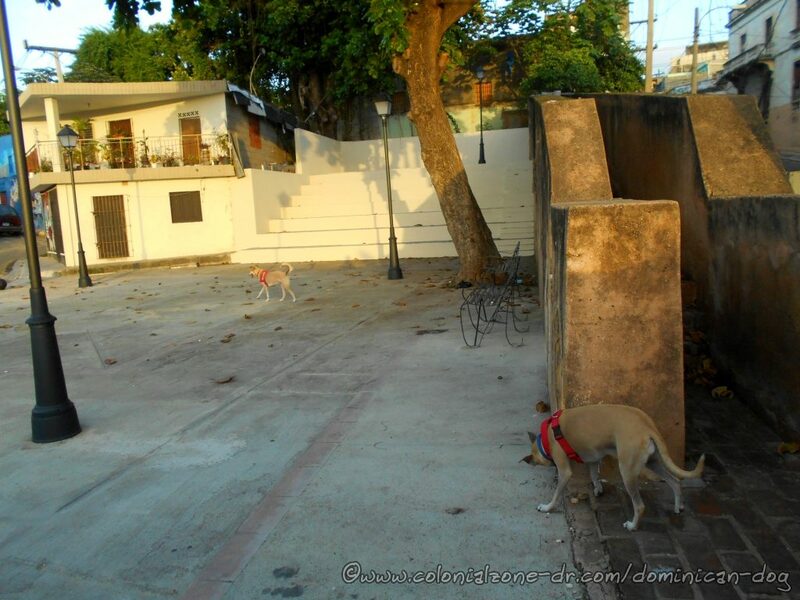 Starting at the entrance to the Barrio Santa Barbara you can walk along the walls of both forts. 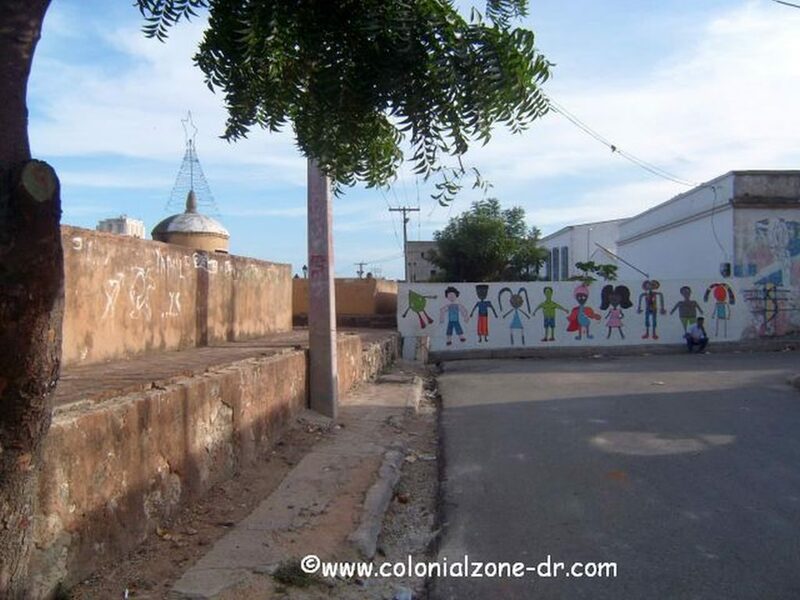 The forts walls ends at the Iglesia and Fuerte Santa Barbara. 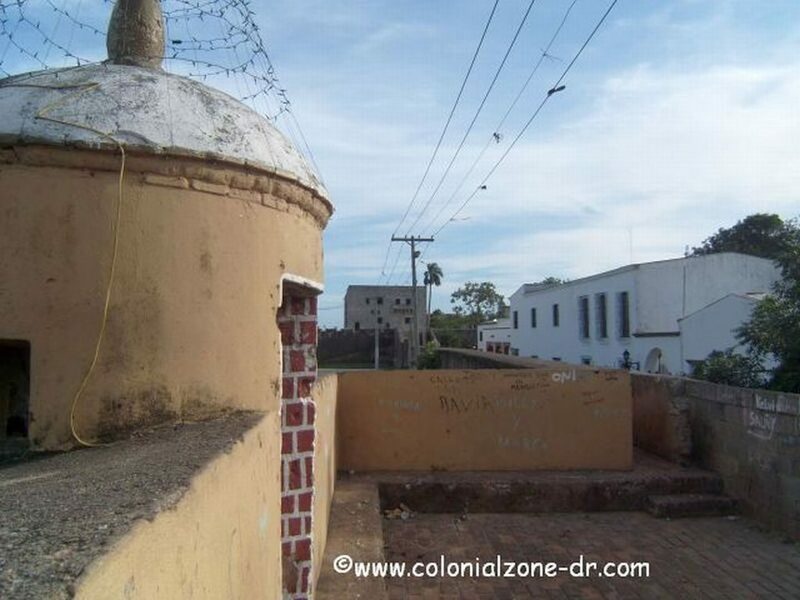 Fort of the Carena is a small rectangular bunker located to the north of Fuerte de Angulo. The original structure dates back to 1543. 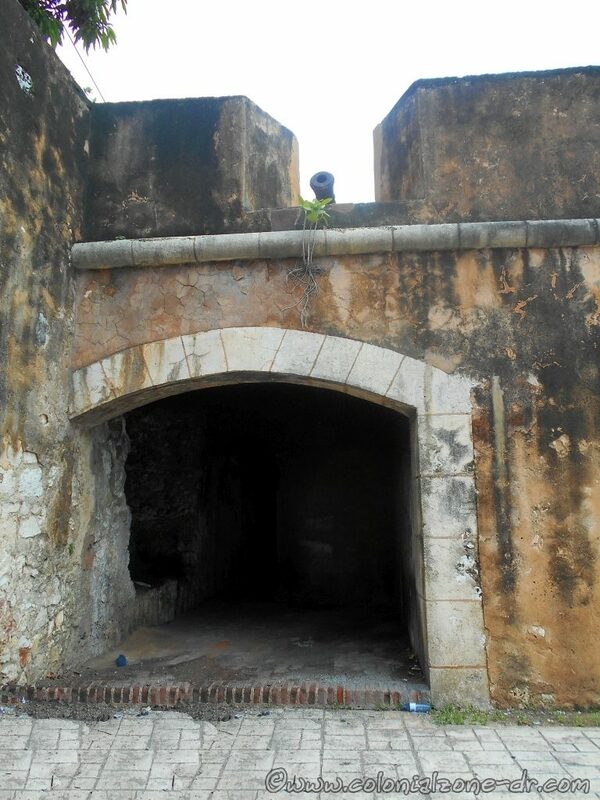 This is part of the Fort of Santo Domingo where boats were brought for repair. The fort was rebuilt on its original foundation in 1991. Fuerte de Angulo. Looking down the barrel of the cannon to the Ceiba de Colón. 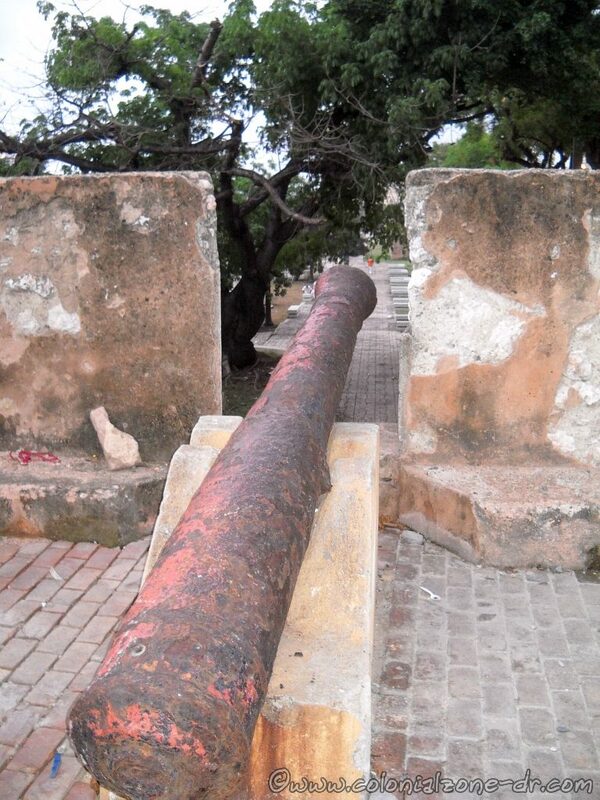 Fuerte de Angulo was a military station and was originally named the Fuertecillo. The fort was reconstructed in 1991. Fuerte de Angulo has a new Plaza. 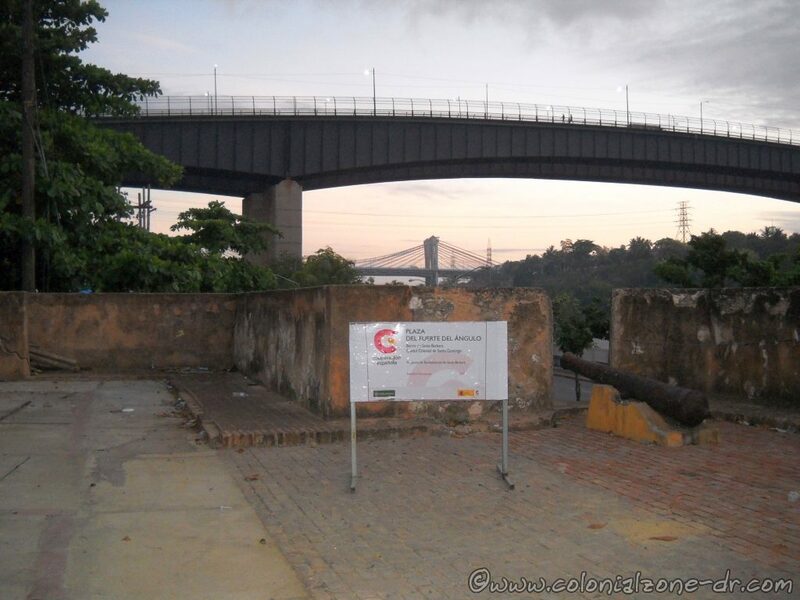 You can see the walls of this fort as you enter the Colonial Zone on Avenida del Puerto crossing the Puente Flotante / Floating Bridge and looking to the right. 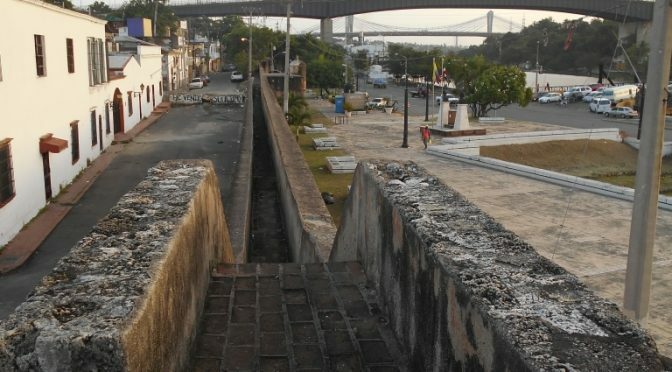 The new Plaza del Fuerte de Angulo and the catwalk leading to the Fuerte Santa Barbara. 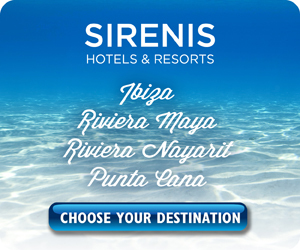 Directions: Avenida del Puerto and Juan Parra Alba, Barrio Santa Barbara.